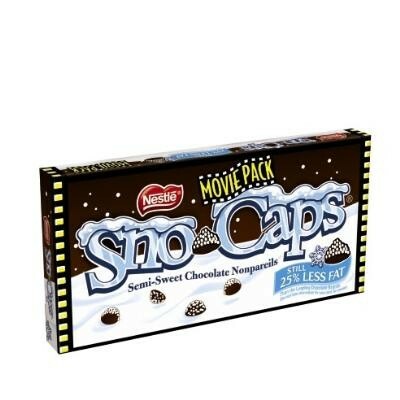 Sno-Caps (3.1 oz. Movie Theater Box) from Nestle, mini morsels of rich Nestle chocolate surrounded with candy sprinkles in a big theater sized box. A classic accompaniment with any activity. Kosher Dairy. Boxed candy comes 5 pieces per case.